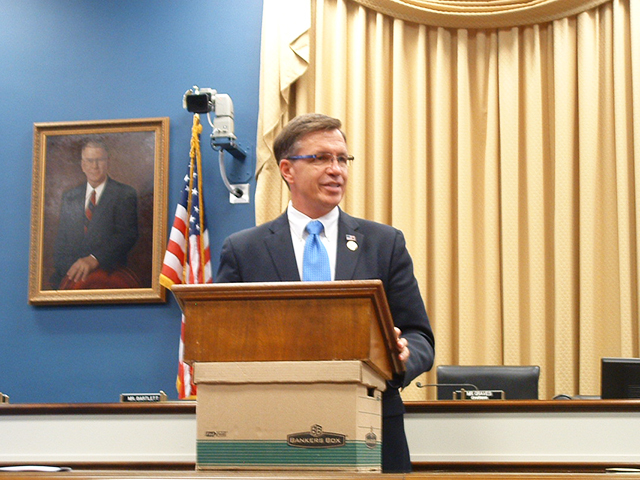 June 2013 Wire and Wire Products Caucus briefing. Eye on Washington's president, Janet Kopenhaver, organized another standing-room only Wire and Wire Products Caucus briefing on Capitol Hill. 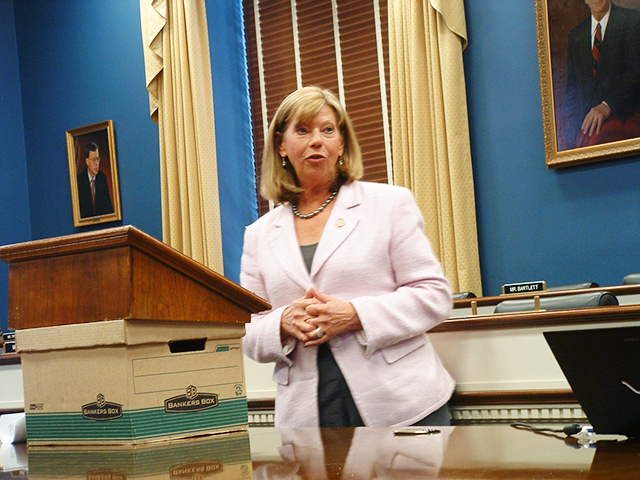 The event included several members of Congress making remarks on trade. Rep. Jo Ann Emerson (R-MO) discussed how circumvention is adversely impacting so many Missouri manufacturing companies in her district. 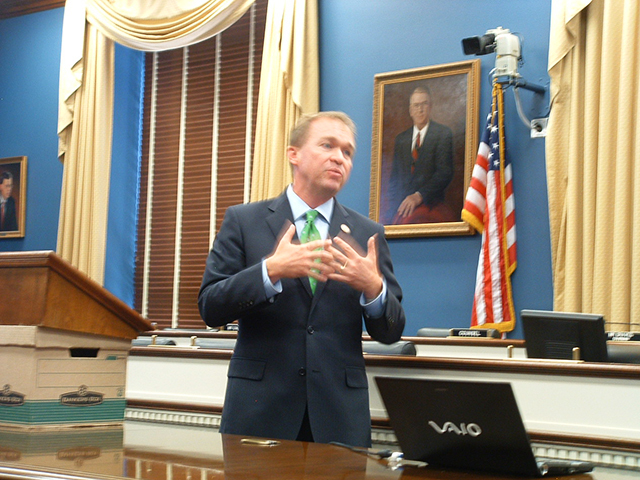 Rep. Mick Mulvaney (R-SC) talks about manufacturing in general and its importance to our economy. The Caucus Co-Chair Sam Graves (R-MO) welcomes the attendees to the event. 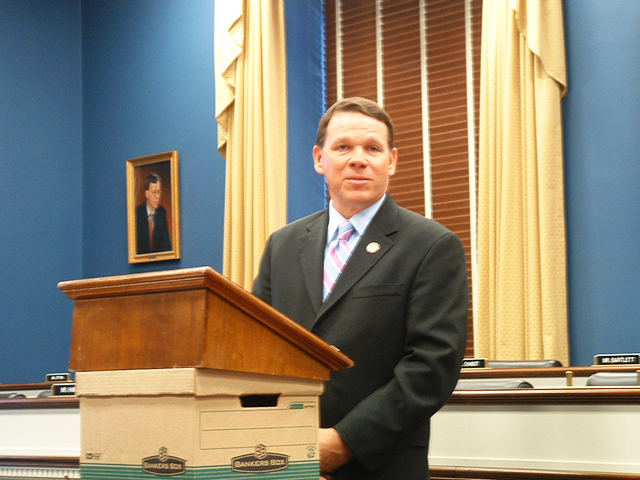 Illinois Republican Bobby Schilling talks about why he joined the Wire and Wire Products Caucus. 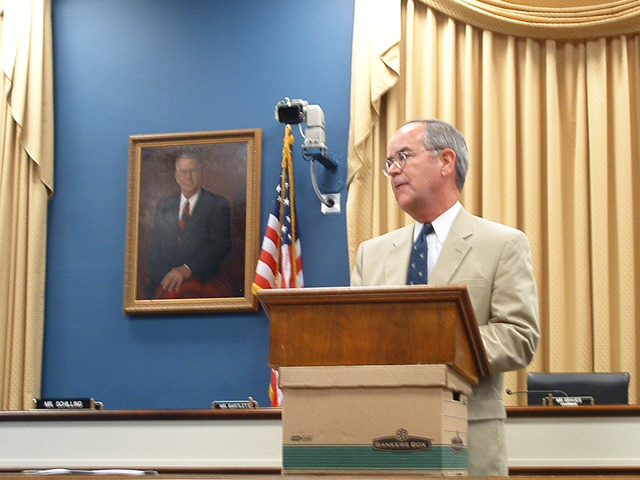 Rep. Jim Cooper, the Caucus Co-Chair, makes opening remarks to the crowded room. 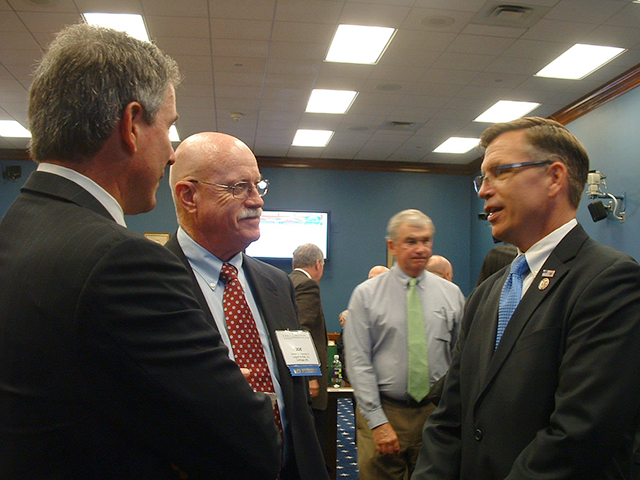 AWPA member company representatives talk to Rep. Schilling before the event.